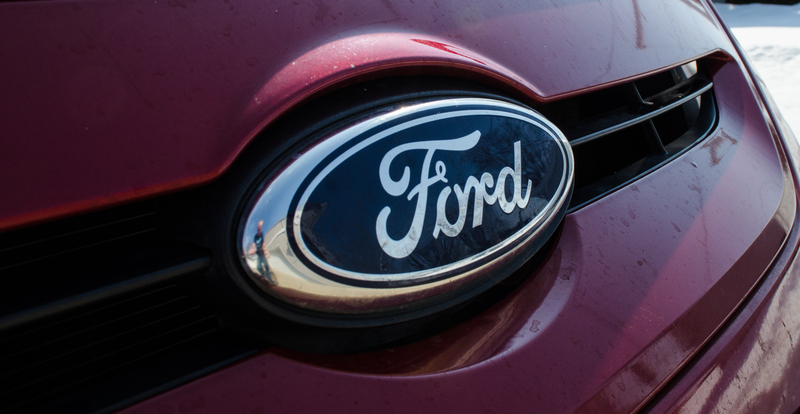 2011 marked the return of the Ford Motor Company selling the Fiesta in the United States. 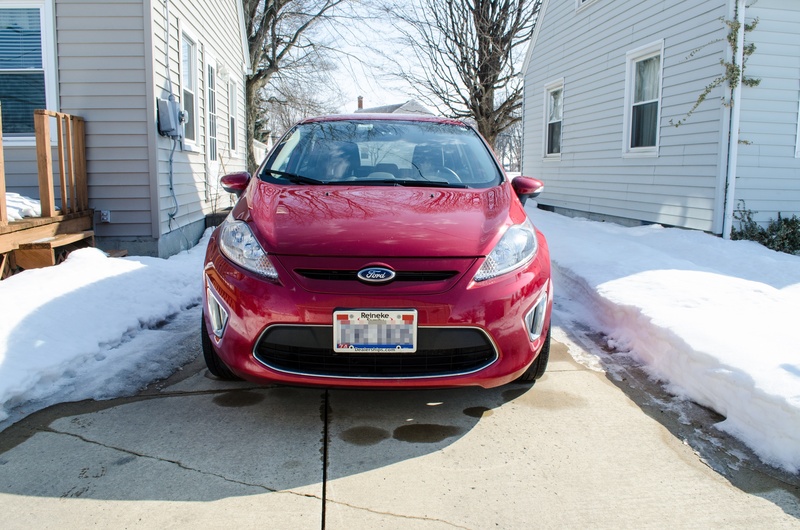 The Fiesta is one of the first vehicles under Mulally’s One Ford initiative, which means that the vehicle sold in the United States is virtually identical to the one sold around the world. For the first time, in a long time, buyers would be able to purchase a good looking, practical, and well-built European hatchback on this side of the pond. 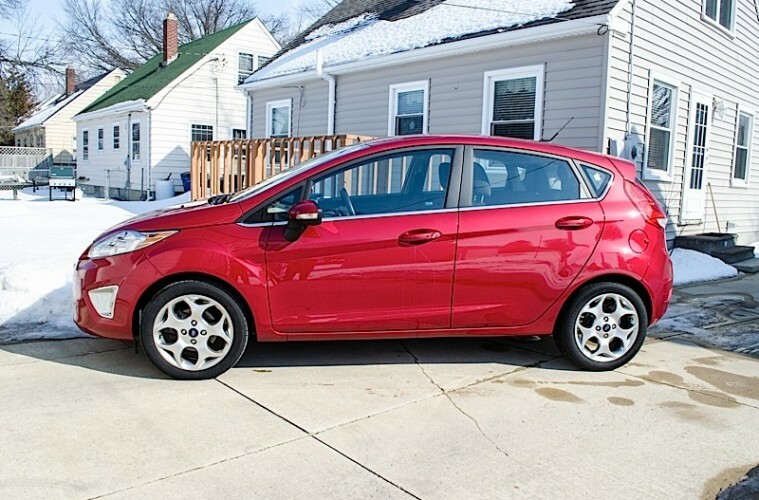 I found myself in need of a small, fuel-efficient vehicle, and could not avoid the handsome looks of the Fiesta. As a result, I purchased one in May of 2011. Now, almost three years later, I have accumulated 30,000 miles on the vehicle and have decided what I do and do not like about the vehicle. Some of the niggles I have are eventually fixed with newer versions, but I would like to say that overall my experience is very positive, and I would purchase the vehicle again. 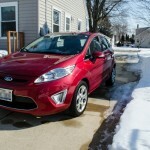 2011 Ford Fiesta SES in red. Lower LED accent lighting is nice, but not really useful. 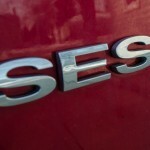 My 2011 Ford Fiesta is equipped with the SES package. At the time, that was the top-level trim available. 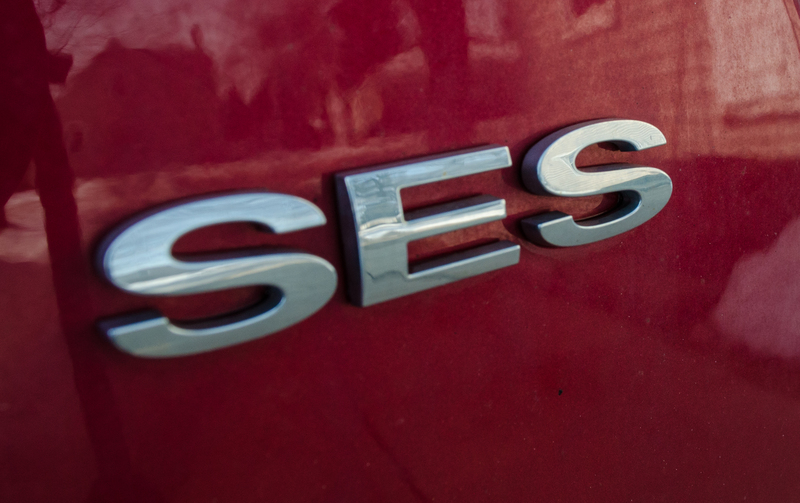 Now, SES has been replaced by the Titanium trim level, but many of the standard options are the same. SES netted me an automatically-dimming rearview mirror, LED accent lighting, turn signal indicators in the mirrors, 16″ alloys, heated seats, and more. 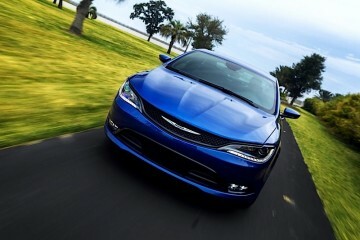 In addition, I opted for the additional $800 package that added keyless entry and go. 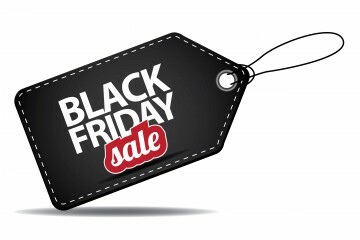 I skipped the leather, as leather used in inexpensive cars is usually cheap leather, and I skipped the sunroof. The sunroof was skipped for more headroom inside the vehicle. Over the years, the heated seats have developed the nickname of “Katy Perry Seats,” because they do not seem to hold a temperature. They tend to get hold and then cold, just like the song by Katy Perry. From the best I can understand, they get as hot as they can without overheating the circuitry, and then need to cool off for awhile. Because there is only one setting for the heated seats, this would sort of make sense. Offering a low and a high setting might negate the problem I’m experiencing. In hatchback trim, aside from the extra storage space and rear-seat headroom, is some extra smart intelligence. 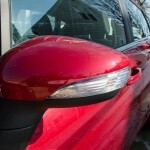 If the vehicle is put into reverse and the windshield wipers are on, the rear wiper will swipe when backing up. On the not smart side is the rear cargo cover. It is attached to the hatch, and looks good when in place. However, it can break if tugged on. I suppose this makes sense, but my one side disconnected when moving some cargo around and not intentionally. Luckily, there are two straps holding it in place. 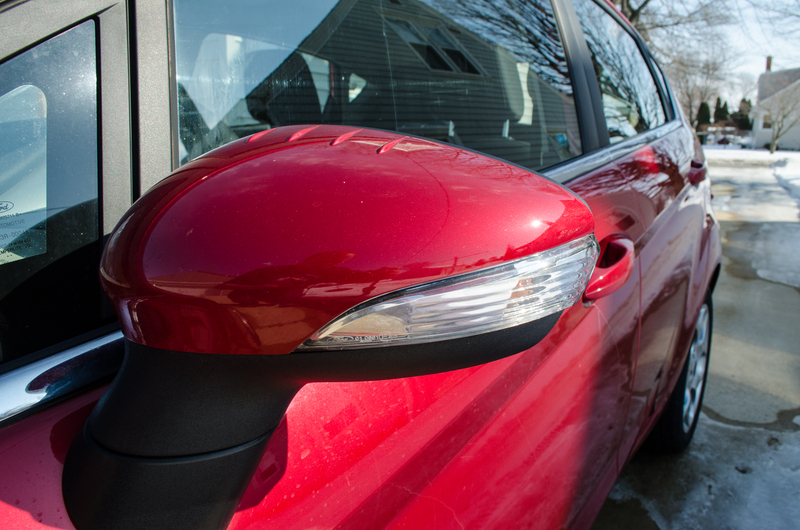 Exterior mirrors with integrated turn signals help make the car a bit safer. 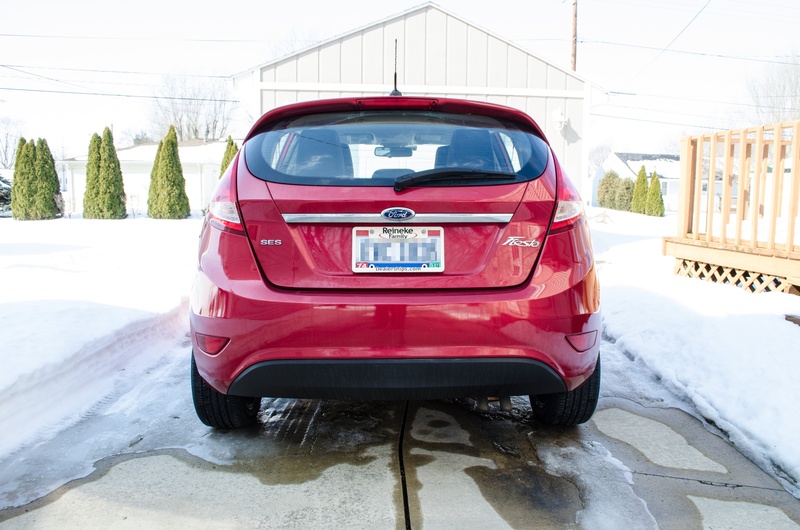 The exterior mirrors are heated when the rear defroster is activated. This is great if there is ice or snow on the glass, and is extremely useful for people who park their vehicles outside like I do. 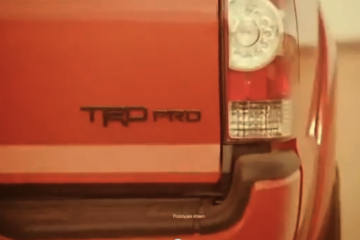 The Sync activation button on pre-2014 models is located on the turn signal stalk. MyFord Touch was not available at the time, so my Fiesta is equipped with a standard radio that includes SiriusXM, but no HD radio. Also, it has Sync and supports AppLink. This means that I can use third party apps on my phone to integrate with the vehicle. 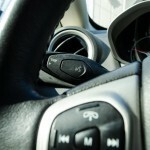 Weirdly, the Sync voice command button is located on the turn signal stalk. Even though it appears to be a nice, big button to press, there is only a small button area underneath the plastic. If you do know know where to press on the button, the system will not activate. Also, when it is cold, Sync requires several commands before the system wakes up and responds. What is weird about it is the car’s center display will change like it is about to accept a command, but then it will fail. 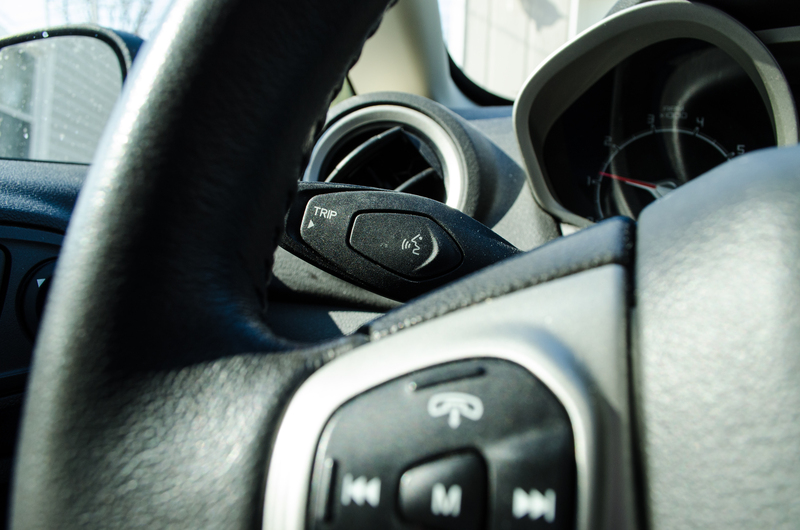 For the 2014 version of the Fiesta, the button is moved to the steering wheel and is much easier to press. Also, it activated flawlessly every time in my testing. 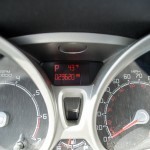 The lack of a coolant temperature gauge is irritating, but fixed in 2014 models. The instrument cluster is easy to read, especially at night. One major flaw of my version of the vehicle is there is no coolant temperature indicator. If the engine is about to overheat, a red warning light will activate. However, if the engine is still cold and turning on the heater wouldn’t be good, the car doesn’t have any way to communicate that. 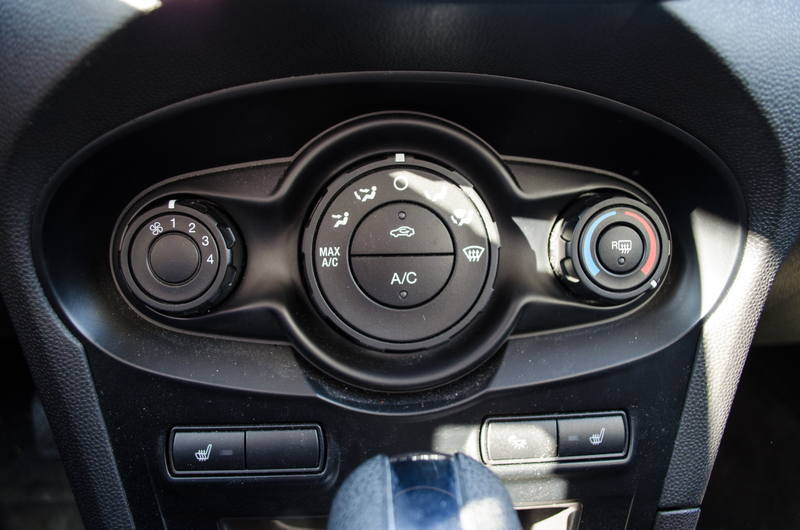 On many cars that do not have coolant gauges, like Mazdas, there is a blue indicator light that turns off when the engine is up to operational temperature. 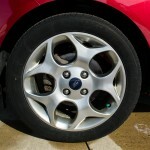 This has been EXTREMELY ANNOYING, but luckily Ford has also fixed that issue with newer Fiestas. How it left the factory initially without it is beyond me. One annoyance that I have learned to deal with is the clock. For some unknown reason, it cannot accurately keep time. I can reset the clock and less than a week later it is either several minutes ahead or several minutes behind. Even though there is no satellite navigation in this vehicle, there is a GPS antenna. It would be nice, although maybe not possible, to use that to keep the clock in sync. 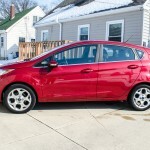 If you read the 2014 Fiesta review linked above, you’ll notice that I complain about the overall fuel economy because the car is equipped with a manual-transmission. Regular Fiestas with a manual gearbox only have five gears, and the automatic transmission has six. 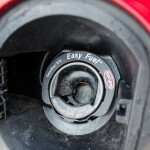 Due to the extra gear on the automatic, my fuel economy has been in the 36-40mpg range consistently. 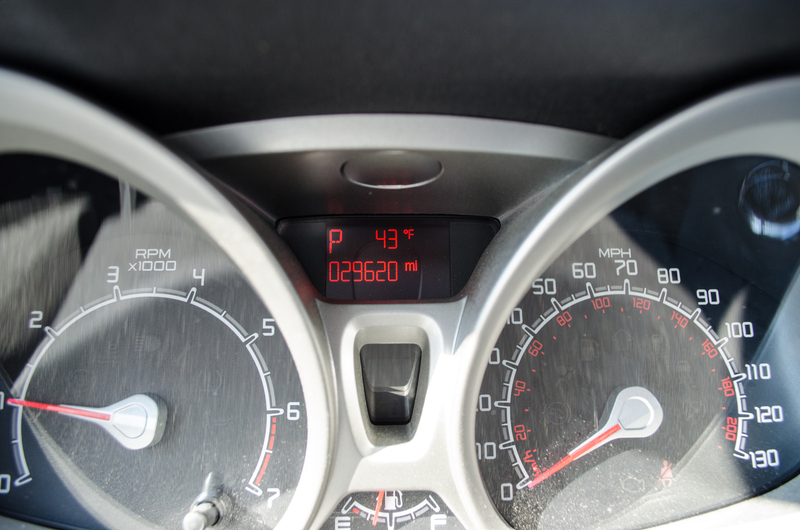 On some road trips, without even trying, I have seen 41-42mpg. 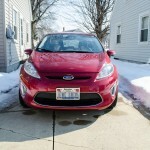 Those numbers are much higher than what I had in the manual-transmission Fiesta with the same engine. That is why I opted for the automatic over the manual transmission, even though I admit the manual would probably be more fun to drive on a car this small. 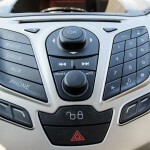 The Fiesta’s stereo does take a bit of getting used to. Sync overall has worked very well for me. There are days that I am confused to why the system doesn’t recognize me when I say, “Bluetooth audio,” but overall it does well. With the latest updates, the car recognizes when I receive a text message and can read them to me, but because Apple hasn’t fully unlocked the Bluetooth stack, the system cannot send a message. What I typically do is press the Siri button on my iPhone. Once pressed, Siri communicates to me through the Bluetooth in the car, and I can have that system send and read text message, provide driving directions, and more. I find that to be a very reliable solution to not having Sync directly communicate with the iPhone. 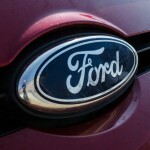 It should be noted that this is not Ford’s doing, but rather Apple’s reluctance to play ball with the automotive OEMs. 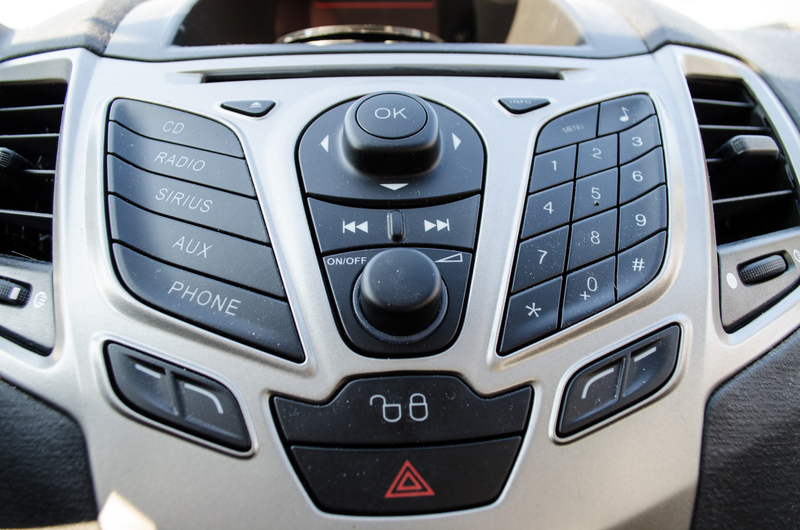 I have talked to representatives from most of the automakers about it, and they all share the same difficulties in working with Apple on infotainment. The Fiesta drives brilliantly for a front-wheel drive city car. Full stop. There is no need to go into any more detail. 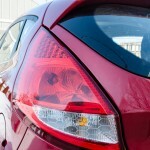 Since this would be a boring review if I did stop, let me cover the highlights of what make driving the Fiesta so great. In hatchback trim, there is loads of space inside. It’s very lightweight. 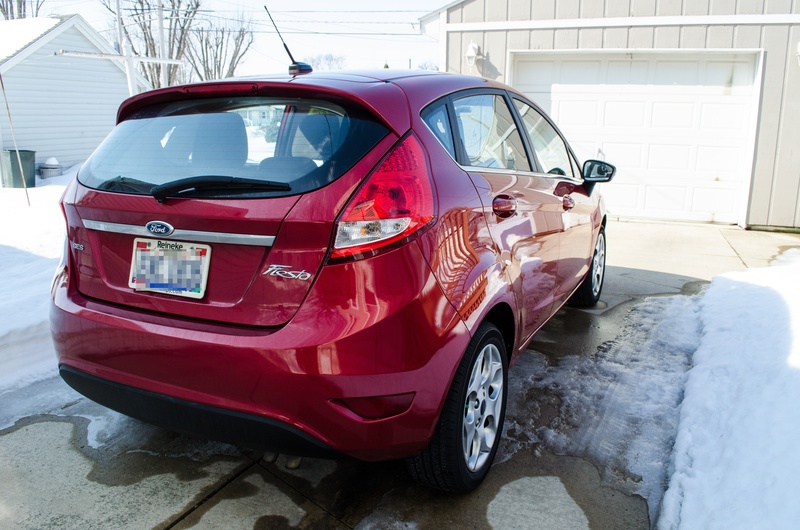 At approximately 2,600 pounds, the Fiesta is one of the lightest 5-door hatchbacks on sale in the United States. Even though the engine only makes 120hp, around town it feels quite nippy. The engine doesn’t have to move much weight around, and that helps it feel quicker than it is. It’s relatively small size also makes it easy to dart around traffic and parallel park nose first. 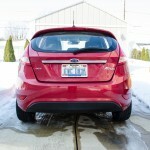 Weight also helps fuel economy, and is another reason why the Fiesta scores highly in that segment. 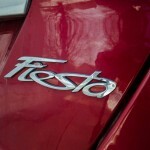 Another reason why the Fiesta is a hoot to drive is the suspension and handling. This car corners very well. Like many front-wheel drive vehicles, going into a corner on the throttle will create understeer. However, just lifting off the accelerator can get the rear-end to pop back into shape. It’s not as tail-happy as its ST counterpart, but still eagerly wants to travel in whatever direction the steering wheel is turned. For those not driving the car at the limits, the good handling traits are still noticeable and make it feel zippy and planted around town. Non-car enthusiasts will recognize that it drives well, even if they are unsure why. 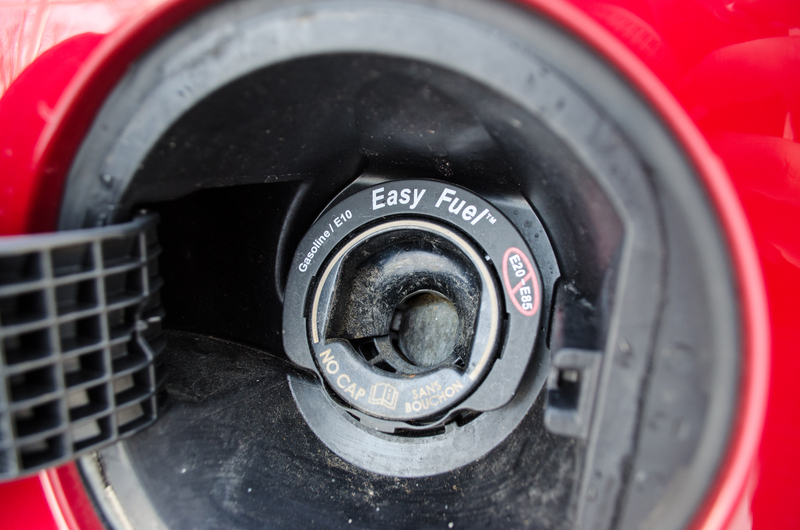 The Fiesta, like all current Fords, does not require a gas cap. Winter driving is decent in the Fiesta. 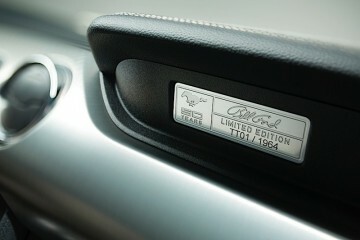 In 2011, the first build of the Fiesta did not have a way to disable the traction control on the car. Build two, which I have, had a menu option to disable traction control. This means that if I was stuck in the snow, and I needed my wheels to spin, I could do so by turning the system off. I would prefer a dedicated button to the function, but very seldom turn it off so it’s not that bad. It should be noted that unless the car is the top-spec ST version, stability control always remains on. Winter hooliganism can be had with some throttle and hand brake, but the system constantly tries to fight the vehicle sliding. 16″ alloys give the car a more upscale look over the hubcaps. 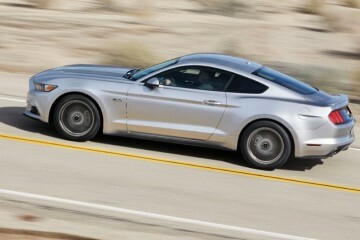 The automatic transmission is pretty intelligent, but hasn’t been without issues. 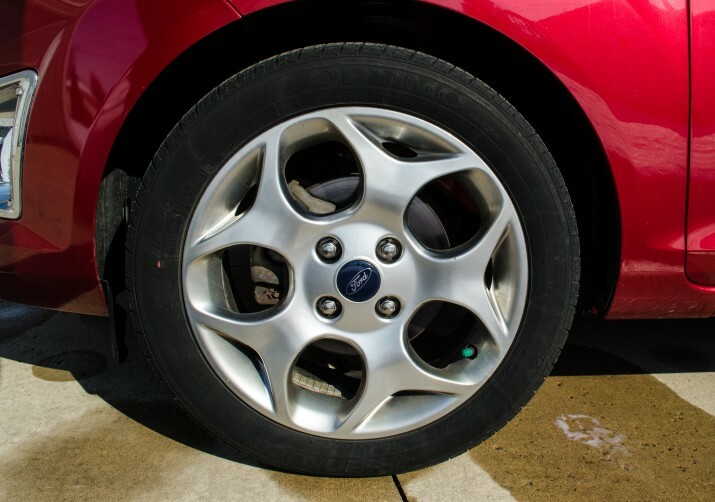 When braking hard, if the anti-lock braking system activates, the transmission will immediately downshift to the lowest possible gear to use engine braking to help stop. That is intelligent programming. The system also has a hilly-type mode. This mode overrides sixth gear and downshifts more often to help keep speed when driving down a steep hill. I use it in some areas to prevent the transmission from shifting from fifth to sixth and back when going up and down hills. Also, because the car downshifts sooner, it does give it a racey feel. Long-distance comfort is really what you would expect from a small, entry-level vehicle. For a couple of hours it isn’t too bad, but longer than that and the seats grow uncomfortable pretty quickly. There is a decent amount of adjustability in the seats, but they just aren’t soft on long journeys. Wind noise is very low in this vehicle, but lack of sound deadening does transmit through the tires as noise. Still, it is hardly unbearable. Most people probably wouldn’t notice the discomfort ever, if all they are doing is driving back and forth to work and on short journeys. 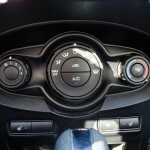 The air conditioning on the Fiesta is easy to use with big dials. One additional comfort issue is the air conditioning. It works very well, and gets very cold very quickly. The actual temperature setting is a bit off though. One click on the blue side and it’s pretty cold, and one click on the red side it is pretty warm. I have at times have had difficulty in finding a setting that I wouldn’t have to fiddle with the entire drive. At night, the Fiesta’s headlights are excellent. They use a separate bulb for the high beams and the low beams, which allows the high beam bulbs to be brighter and use a different reflector for projecting light. I would prefer high-intensity discharge lights, but they aren’t available. The LED accent lighting up front does nothing for visibility, and would probably be better with a set of fog lights for the rare occasion when it is foggy. 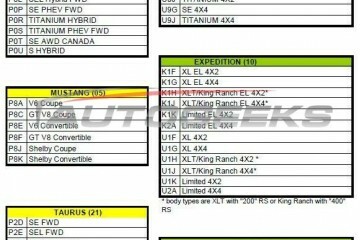 That is fixed for the 2014 model year vehicles. 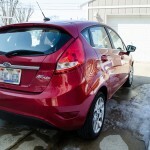 The Fiesta, especially in hatchback, is a handsome looking car with good options. 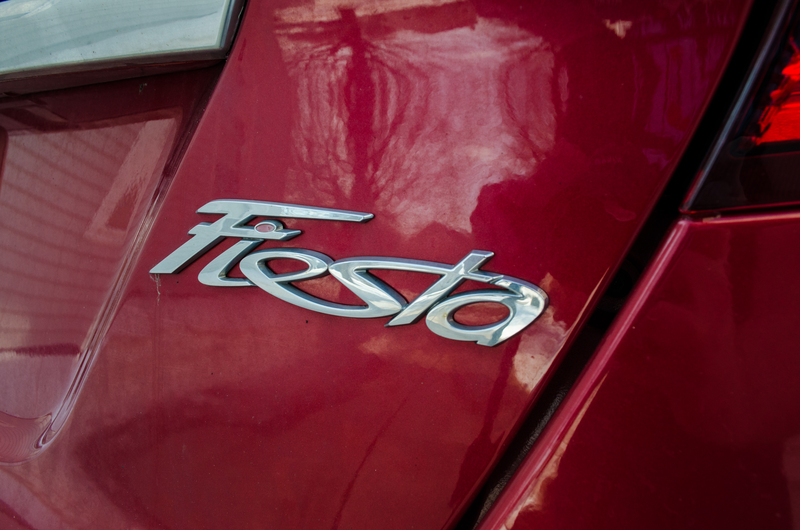 Many of the gripes and complaints that I have about my own Fiesta have been fixed with the release of the 2014 model. It is almost like the Fiesta engineers climbed into my head and heard my complaints. 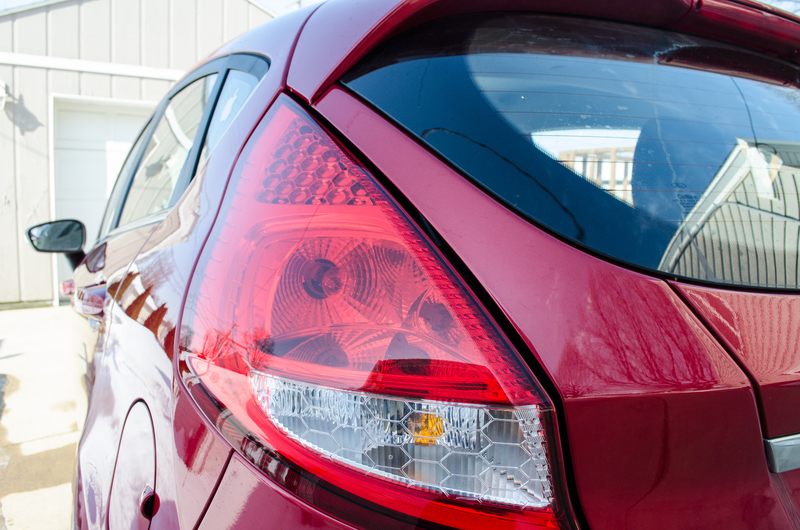 With the couple of little fixes, the Fiesta has gone from a good car to a great car. Overall, I am very satisfied with my Fiesta purchase. For those looking for a small car that is also fun to drive, there are not a huge number of options. 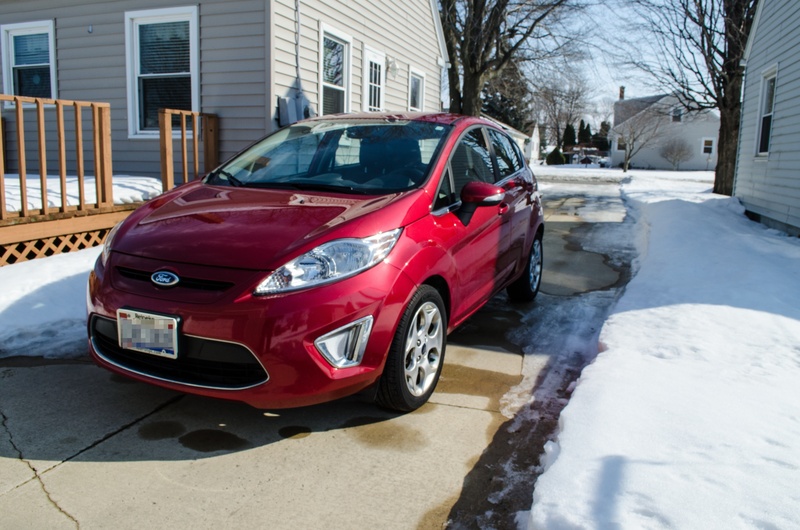 The competition is growing, but the Ford Fiesta is still the best driving small car in its class for sale in the United States. 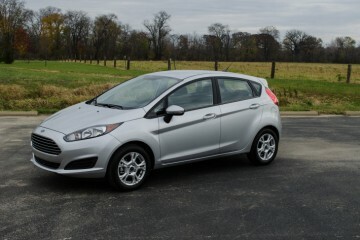 If I were to replace the Fiesta, and want another small car, it would be replaced with another Fiesta.